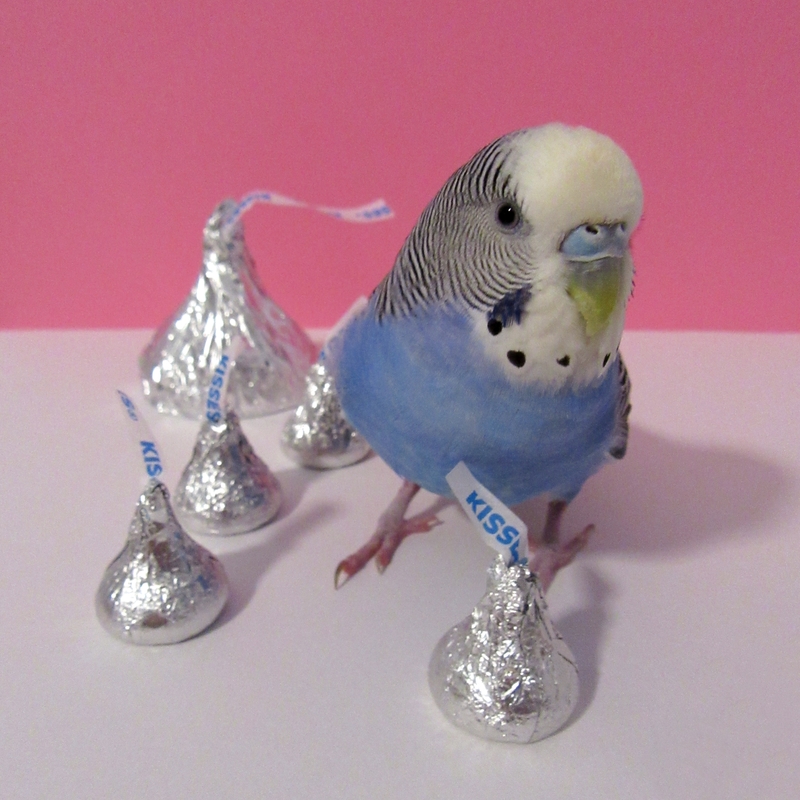 Posted on February 13, 2019 by Michelle M.
This entry was posted in Budgie food and tagged budgie, budgie food, Cooper, Hershey's Kisses, Hershey's Kisses budgie, holiday fun, parakeet, Valentine's Day, Valentine's Day budgie by Michelle M.. Bookmark the permalink. A big kiss to you! Happy Valentine’s Day.